We promise to help you achieve your dental goals. I was born and raised in Northern Maine and moved to the area in 2004. 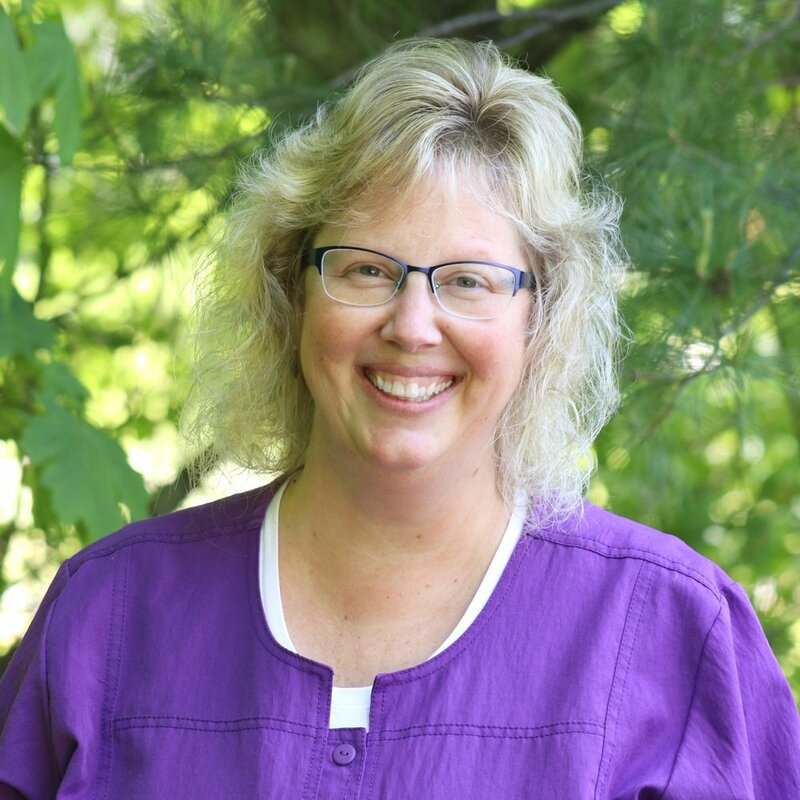 I began my employment with Dr. Randy in 2005 as a dental assistant, and while that was exciting, my current position as operations manager allows me to develop a team of individuals to carry out MidCoast Family Dentistry’s mission. I enjoy the ever evolving process and stay current with changes in the dental field so we can offer our patients the most effective treatment and the best products. Serving others by helping ease fears, giving a smile for reassurance, guiding a patient through financial and treatment options, helping teammates “pull it all together” to give the patient an awesome experience makes for a successful day. I am very excited to be assisting in the administrative development of our Pain Management and Sleep Apnea program. I believe this is an added bonus for our patients. It is my goal to encourage my team members and patient comments so it will lead to improved customer service and comfort. I would like to offer you a tour of our facility and the opportunity to meet us. Until then . . . have a great day! I am proud to be from Midcoast Maine, and continuing to raise my family in the community I love. After graduating high school, my focus turned to people, and careers that served our local folks. I explored many diverse fields, eventually dabbling in real estate, banking and healthcare industry positions where teamwork was valued. As a long standing patient of Dr. Randy’s, my family and I always received the best care and personal treatment. I am proud to now say that I can contribute to that ongoing reputation and relationship. Each and every day we are committed to providing the highest level of service to each of our patients. At home, I am the proud Mom of two wonderful sons and a stepson. My husband and I spend our summers being part of a terrific group at a local campground, and winters we dream of the day we become snowbirds. Until then, I look forward to serving you in the office or seeing you out in the community. I have lived in the Midcoast area all my life and am still loving it. Growing up in this area has given me a special love for the region and those who live here. I joined MidCoast Family Dentistry in 2016, and look forward to a long relationship of helping others to meet their dental needs. I do not have a background in the dental field, but am so pleased to be part of a team who is willing to teach, be supportive and care so much for their patients. It is an ever changing environment which is so exciting! My past work has included account management, insurance and working in health related fields. I am so glad to be part of a team whose care and goals are to serve this community and help others achieve their goals with such great commitment and care. As a pastor of a local church, I am invested in this community and currently am working on completing my studies for Ordination. One of my greatest passions is working with widows in Africa to start or increase a small business that will help them support their families. My at home passions include, spending time with my family, beach excursions, apple picking and making snowmen. My hobbies include: horseback riding, knitting and crocheting, camping, reading and learning to quilt. I am a lover of animals and people! I settled in this area because we had summered here and it seemed like a wonderful place to raise children. I was born and raised in Maryland, but have lived in Maine for 25 years and it is everything I thought it would be. I began working in Special Education and from there worked in several other service oriented positions, including the medical field. I have been part of the MidCoast Family Dentistry team for more than a year now and am really enjoying the differences and challenges between the medical and dental fields. I enjoy the relationships that being a Treatment Coordinator allows me. The connection with patients from greeting, listening and giving them a seamless experience through any of their interactions with our team. In my spare time, I enjoy spending time with my husband hunting for antiques that we buy and sell. We have two grown children that we appreciate spending time with also. I was lucky to be born and raised in this great State and have always felt that this is the place for me. I got my first job as a dental assistant, many years ago, and fell in love with the dental field. I have transitioned to working as a coordinator of patient care and really enjoy creating and ensuring that the details help my team members have an exceptional day and our patients have a top notch visit. I work hard to exceed expectations. Having patients recognize me when I am out and about in the community is great because then I know I have made a connection. I couldn’t be happier than when I am developing relationships with patients. I can’t wait to assist you! Joy in my spare time is kayaking, gardening and spending time with family, especially grandchildren. Hi, I’m Pam, a Maine transplant since 1995. 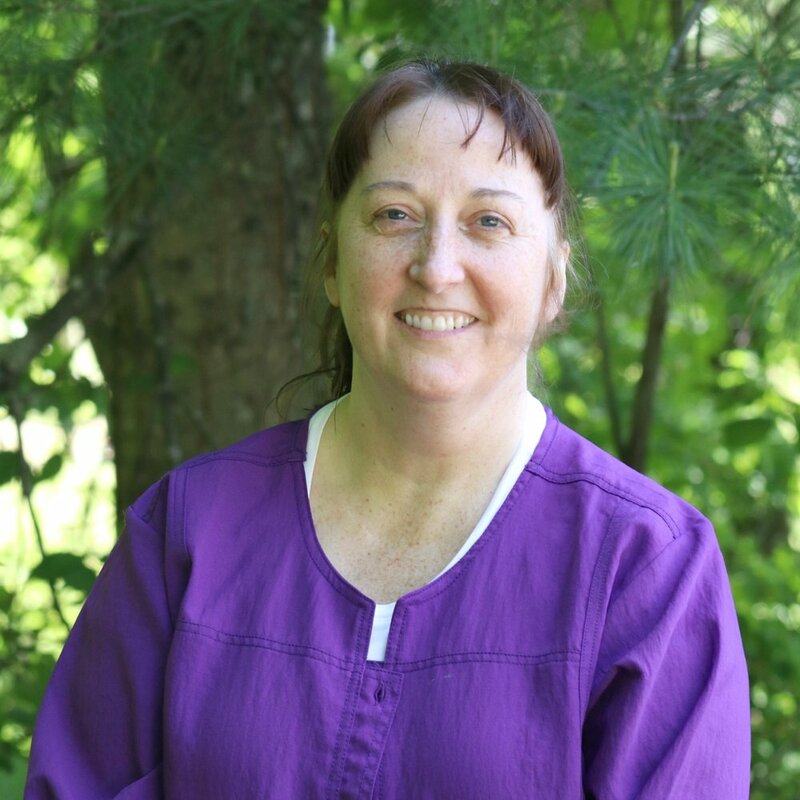 I have been involved in dentistry since 1986 when I started as a dental assistant. I graduated from dental hygiene school with honors in 2001. At MidCoast Family Dentistry I love that I am in an environment that encourages learning. Dentistry is ever-changing and I strive to stay on top of the newest treatment and technology to enhance our time together. My goal is to have you look forward to being here as much as I enjoy spending time with you. Besides loving what I do professionally, I love gardening and the outdoors. We live in such a great place with so many things that can be done both culturally and in nature. I am never at a loss of how to spend my time, whether it’s hiking with my dogs, enjoying a great meal with friends or just spending time with my family. Being born and raised in Maine has been great, and the Midcoast has been my favorite area by far. I have been part of the MidCoast Family Dentistry Team since 2010, and have enjoyed every minute of it. I have always had an attraction to the medical field and helping people live healthier lives. My interests really come down to helping people in countries that cannot afford good dental care, like Haiti. I received my Associates of Science in Dental Hygiene degree in 2009 and am currently working toward a Bachelors in Applied Sciences. Outside of work I enjoy reading, baking, gardening, playing the piano and singing, spending time outdoors and being involved at my church. In the short time I have worked with the team at MidCoast Family Dentistry, I have found it to be an easy fit. I was born and raised in this area, and I love it so much, I can’t see myself anywhere else. I have 19 years experience in the dental field, enjoying the ever changing technology, challenges and the new people I meet every day.. When I am not working I like to take in all this area has to offer by hiking and seeing the sights. I really enjoy doing this with my family as much as I can. I am excited to meet you and see how I can be of service. I have worked for MidCoast Family Dentistry since early 2004. The midcoast region has been home, most of my life. I have always been fascinated with dentistry, especially extractions and surgeries, so working in a dental office seemed a natural fit. We work in the very complex field of head, neck, and facial pain and sleep apnea and being part of that work is very satisfying to me. I like dental courses because techniques and technology are always changing. When I’m not working, I prefer being outdoors; camping, hiking, and working on home and yard projects. I also love spending time with my daughter, son-in-law and grandson. I look forward to meeting you at MidCoast Family Dentistry. I was born and raised in Connecticut before moving to Maine. I immediately fell in love with the natural beauty of the area and I knew I wanted it to be my home. Once I graduated from high school, I started my career as a dental assistant and at last found my home at MidCoast Family Dentistry. It is here that I make every effort with patients to carry on the same dental care I was given growing up, and to calm any anxiety that comes from going to the dentist. When I am not at the office, you can find me skiing down the mountain with my boyfriend or playing my favorite video games. In the summer, I enjoy hiking and exploring. I also take pleasure in drawing and baking. I look forward to seeing your smile.